Cool Breeze for Truckers is still sometime away? It was first on March 13th 2016, Union Transport Minister Mr. Nitin Gadkari told the House that a with the objective of reducing the number of road accidents, Centre has decided to make air-conditioning mandatory in the driver’s cabin of trucks.”Making truck drivers’ cabins air conditioned will be made mandatory as they drive up to 12 hours at a stretch at times,” he said. With no direct relevance on the matter, notification was also released subsequently during Nov 2016, to make Air condition as standard in all medium and heavy trucks from April 1st 2017. The move was considered arbitrary and uncalled for at a time when the OEMs were involved in investing to meet Euro IV norms, which will come into force in the next month. The ministry’s move was more of a comfort aspect than a necessary one. The industry has already committed the necessary resources and put in place the supply chain/orders for manufacturing Bharat Stage IV emission norms complaint trucks from April 2017 i.e. 4 months from the date of notification. AC Cabins on all trucks would seriously impact preparedness of the industry in meeting BS IV norms across the country as vehicles would need to be redesigned/redeveloped and need to be sent for fresh homologation for which the lead time is just not enough. More over the current cabins which are offered as a part of trucks weren’t developed for Air condition and needs a complete makeover for effective cooling efficiency. Apart from the design of truck cabins, the power train of trucks weren’t supporting either. 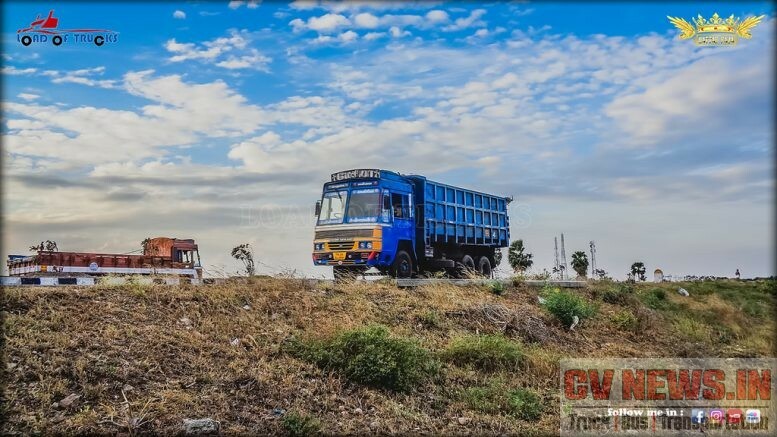 Indian trucks have one of the lowest power to weight ratio engines, and simply adding an air condition to it will not just strain but effectiveness will be less. Its understood that the Society of Indian Automobile Manufactures (Siam) has written to the government urging it to keep the decision to make AC cabin for trucks mandatory on hold. “The industry has worked for the past two years to bring BS-IV emission norm in trucks from April 2017. Most of the the trucks are in advanced stages of approvals and many have already been approved. Making the cabin air-conditioned will require structural changes and (will necessitate) taking approvals afresh. By insisting Air condition truck makers will have to go to the drawing board again. It wasn’t simply not possible in the time frame of four months”, an official said to a daily. So considering all the factors, truck drivers have to wait till implementation of AIS 093 – Practice for Construction and Approval of Truck Cabs, Truck Bodies and Trailers, to settle for blowers. 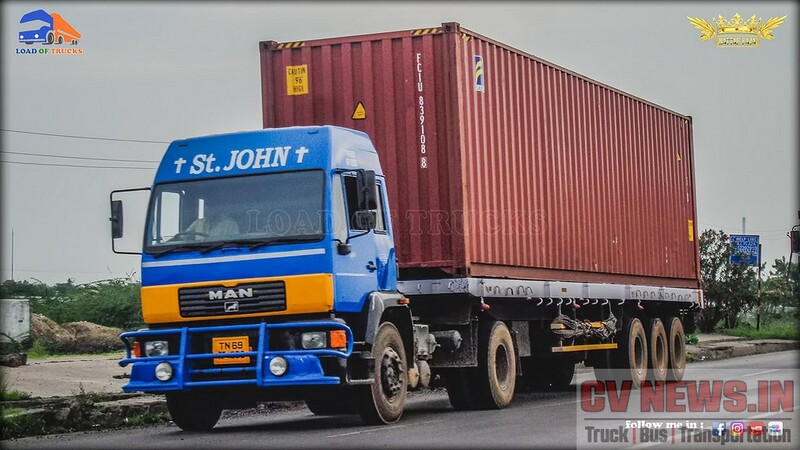 Truck Code has requirements and has taken adequdate care for the comfort of driver/co-driver by incorporating mandatory provision of blowers/ventilators or other suitable devices to ensure proper climate control in driver’s work area. AC for trucks should be included in the AIS 093, and should be implemented with a time frame. But currently there is no clue on Truck code implementation. However, in a statement, Erich Nesselhauf, Managing Director and CEO, Daimler India Commercial Vehicles (DICV), said: “We welcome the government’s push for mandatory AC on trucks. 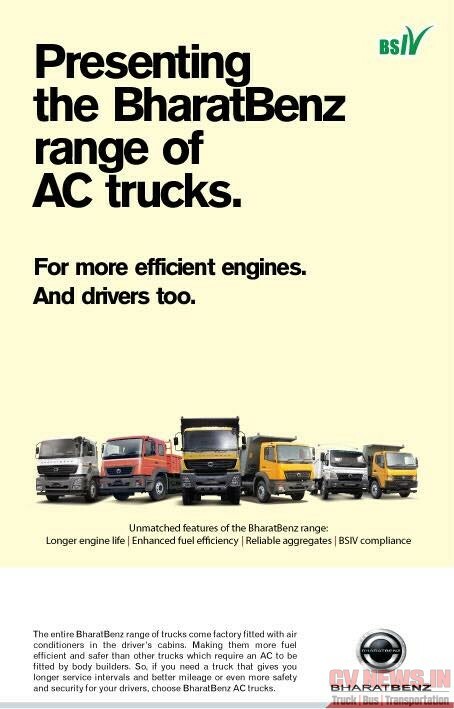 With BharatBenz, we have been selling AC throughout our 9-49 tonne range from day one onwards, so we are fully ready. Mandatory AC will deliver a significant boost to safer trucking and road safety”. As of now BharatBenz is fully prepared for BSIV and Air Conditioning in their complete range of truck. Govt. could earn upto Rs.14k Cr. from proposed old vehicles scrapage scheme. Twin speed rear axle – functions explained. Air-condition will still be an option in trucks, Forced Ventilation gets mandated. Be the first to comment on "Cool Breeze for Truckers is still sometime away?"